I am reminded of the vacations I’d take to Kerala and the ritual visits to temples. I am not very religious, but I’d be fascinated by the thousand oil lamps that were casting a golden glow over the entire place. My aunt would always be slightly put off by my irreverence towards God and his minions (putting it all down to my modern Delhi up-bringing), but that never dampened her enthusiasm to drag me from one shrine to another while sharing tidbits from Kerala’s mythology. Her devotion was touching and the stories of gods demigods, demons, nymphs, and magic and deception were always interesting. This beautiful ‘velaka’, as it is called in Malayalam (I sincerely hope so, or I can already see my entire clan shaking its head in disapproval), awakens the fragrance of jasmine flowers that is so typical to this region. No matter where you go, you are no more than a whiff away from these beautiful, star-like blossoms. 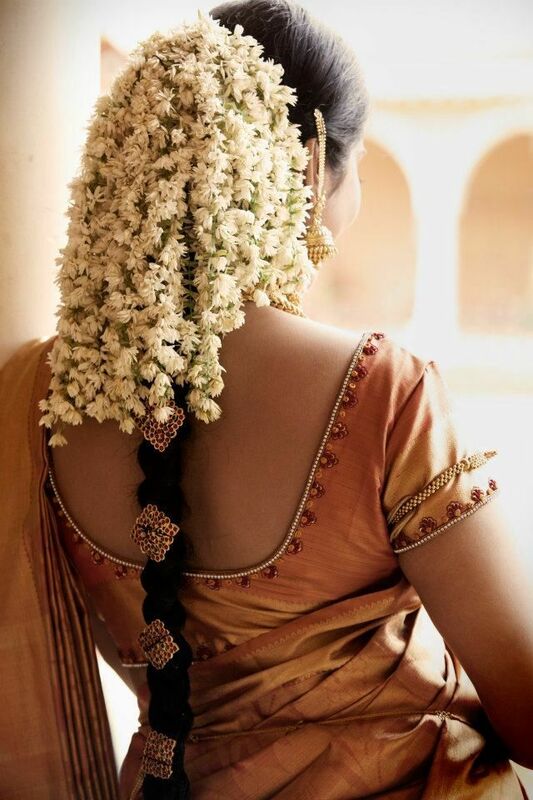 You’ll find them gracefully entwined in most women’s hair – a simple adornment that adds more beauty and grace than the most expensive silk sari or most carefully crafted gold jewelry. No bridal make up is complete without it and, as an offering to the Gods, they hold a place of honor in the temples of the poor and rich alike. Kerala also brings to mind the aroma of banana and jackfruit chips, freshly cooked sambhar, piping hot idlis, and stew. My mouth starts watering thinking of payasm and acchappam, and neyiappam, and a dozen other sweet delicacies that grab my attention over the main course. The simple pleasure of drinking rasam accompanied by papadum or having filter coffee in the balcony as you listen to the rain pelting down merrily is unbeatable. 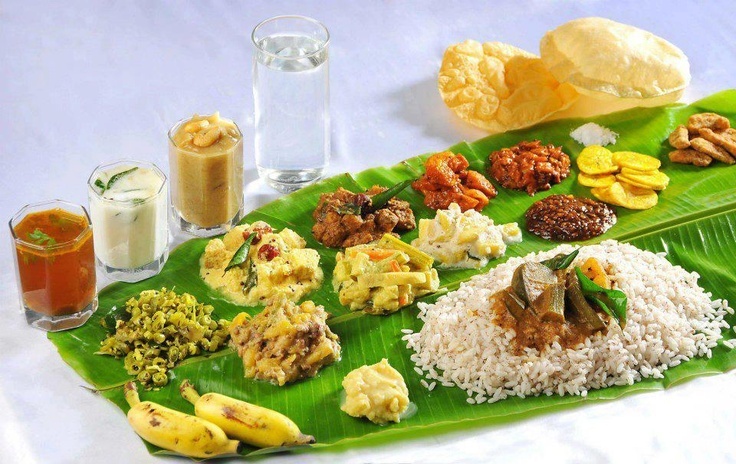 The saddya – a traditional vegetarian feast that is prepared on special occasions like Onam and marriages and served on the quintessential banana leaf is one of the many things I look forward to whenever I happen to visit Kerala. For me, it is a banquet prepared for kings and queens and although all dishes are vegetarian, they taste absolutely exquisite. Besides, the experience of sitting cross-legged on the floor (although we’ve graduated to tables now) and eating off banana leaves as you chase rasam and payasam and sambhar and keep them from dripping from the sides and on your clothes is totally enjoyable, to say the least. 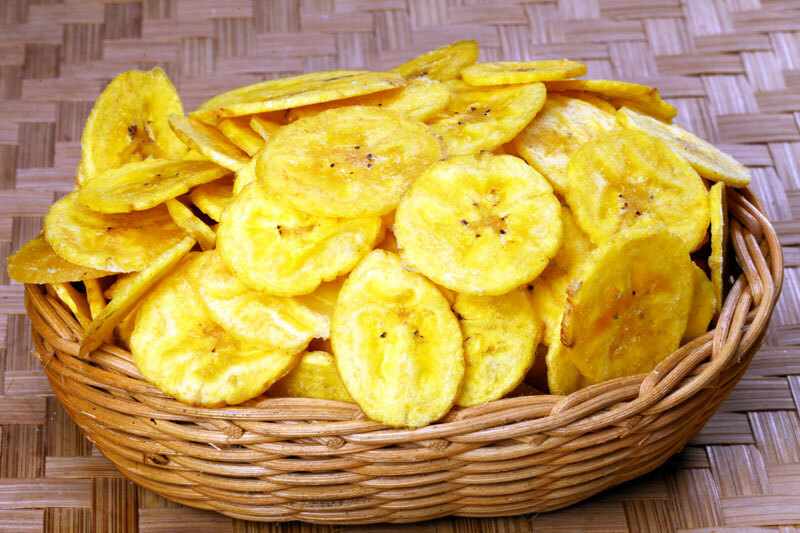 My personal favorite are the jaggery coated banana chips that I gorge on shamelessly. I must be a distant relative to the cookie monster. Kerala for me is also the absolutely gorgeous collection of silk saris my aunt has – one carefully built over the years, one that has saris passed down generations, and one she is so proud of. What vibrant colors! What lovely, soft fabrics! What intricate patterns embroidered into the pallu! And, oh my God, how graceful she looks draped in them! She’s tried to get me to look equally graceful, but all attempts have failed. At best, I look like a mummified woman; correction, exotically colored mummified woman, and my only saving grace is that I look less ominous (and the fact that there is no known curse associated with me also helps). You are making me hungry. Grrr!